With it becoming easier than ever for businesses to ‘go global’, lots of previously developing territories are showing the world their worth. Brazil is an interesting market, as it has been flagged as the next hot tech market and has the distinction of being one of the fastest growing emerging markets over the last decade. Mobile commerce has grown like no other form of retailing, and some retailers are even going that one step further to make buying via a smartphone or mobile a completely different experience. 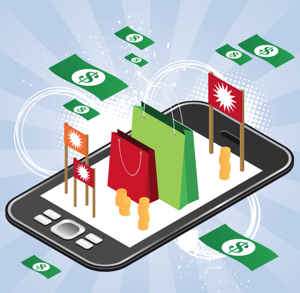 In this post, I’ll explore the ways in which m-commerce is making waves, and what 2013 holds in store.